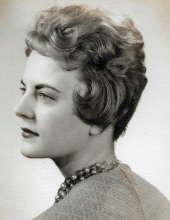 Cecile Louise Pitts Marcum, age 77, of Knoxville, and formerly of Oak Ridge, passed away peacefully Monday, February 11, 2019 at her home surrounded by family. She was born January 9, 1942 in Oxford, Mississippi, the daughter of O. C. and Louise Coleman Pitts. Cecile was a graduate of Oak Ridge High School, class of 1959 and member of Beta Sigma Phi. She lived and worked in the Oak Ridge area most of her life and some of her favorite places of employment were Crouch & Adams, Credit Bureau of Oak Ridge, Jefferson Fountain and Ridge Greenhouse and Florist, from where she retired as a bookkeeper. She enjoyed cooking and for a time catered the Wednesday night dinners at First United Methodist Church. She also enjoyed gardening, shopping and most importantly being with her grandchildren. She was also an avid animal lover. In addition to her parents, she was preceded in death by her husband Phillip M. Marcum, March 7, 2015. She is survived by son, Phillip Wayne Marcum and wife Patricia of Oak Ridge; daughters, M. LeAyne Sparks and husband Benton of Rocky Top and Cammie Marcum Wolfe and husband John of Lakeland, FL; sisters, Rose Bellamy and husband Terry of Greeneville, TN and Joan Pitts of Knoxville; grandchildren, Alex Moore and wife Emily, Emily Louise Sparks, Tres Sparks and wife Barbie, Vince Sparks and girlfriend, Caroline Lee and Mackenzie Wolfe; great-grandchildren, Cassidy Sparks and Chayse Sparks; brothers-in-law, James Marcum and wife Ruth, James McGill, and Mickey Marcum; niece, Teresa Vickery and husband Dexter; nephew, Hal Marcum and wife Melissa and a host of nieces, nephews, cousins and extended family; special friends, Fred and Carmen Myer, Kathie Shearer, Geri Rinderer, Mary Beal Fell, her wonderful neighbors, UT Hospice caregivers and countless others; and her beloved and faithful canine companion, Moose. A special thank you to all that visited, sent cards, flowers, food and called. Please know how much your kindness is appreciated. The family asks that any memorials be made to the E. TN Children’s Hospital, the Humane Society, American Cancer Society or to a charity of the donor’s choice. The family will host a Celebration of Life. Please contact family for details. Weatherford Mortuary is handling the arrangements. An online guest book can be signed at www.weatherfordmortuary.com. To send flowers or a remembrance gift to the family of Cecile Louise Pitts Marcum, please visit our Tribute Store. "Email Address" would like to share the life celebration of Cecile Louise Pitts Marcum. Click on the "link" to go to share a favorite memory or leave a condolence message for the family.